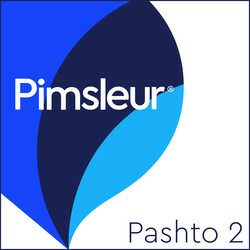 Builds upon skills taught in Pimsleur’s Pashto Level 1. 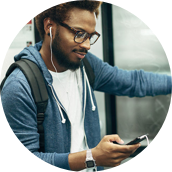 Reading Lessons, which build upon the language skills acquired in Level 1, are included at the end of Lesson 30. These lessons, which total about one hour, are designed to give you practice reading Pashto, which uses the modified Arabic alphabet. 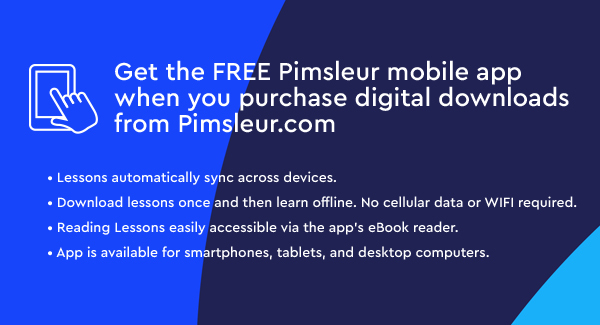 You'll be reading words, phrases, and short sentences using familiar vocabulary as well as new vocabulary regarding useful topics such as food, colors, travel, shopping, communication, and more. A Reading Booklet to be used with the audio lessons is also included.